Our original plan was to get the pig trotter fried mee hoon served at this same stall, but it turned out that it’s only served in the evening – they’re too busy with Hokkien mee orders to have any time to spare for the more time-intensive pig trotter mee hoon dish. Which is understandable, judging by the huge orders on those take away packs, not to mention those eating-in. Pasir Panjang Food Centre is not any way near to any neighborhood nor residential areas – it’s located near the industrial seaport so its customers are mainly the workers nearby. 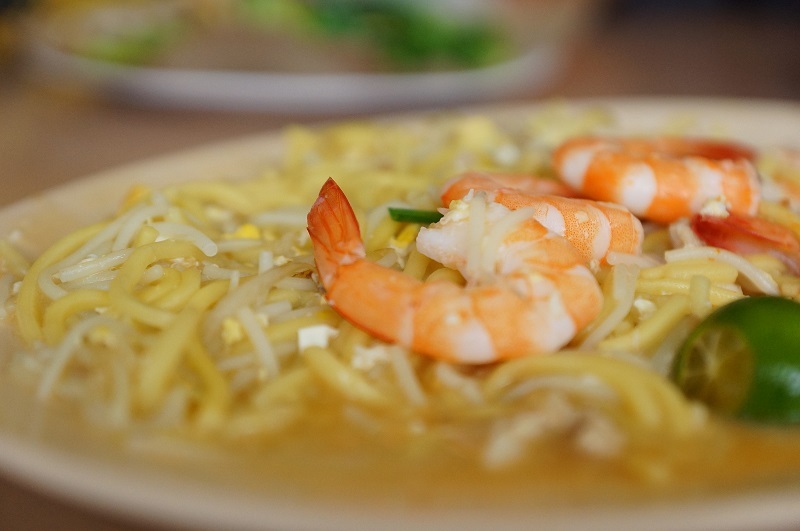 We got the tip off from some of the regulars here to try the pig trotter fried mee hoon, Hokkien mee, Hainanese rice and the healthy fried kway Teow. It’s hard to find good pig trotter fried mee hoon and this is one of our favorite dishes, unfortunately, we were there at the wrong time. So in the end we had to settle for the fried Hokkien mee. 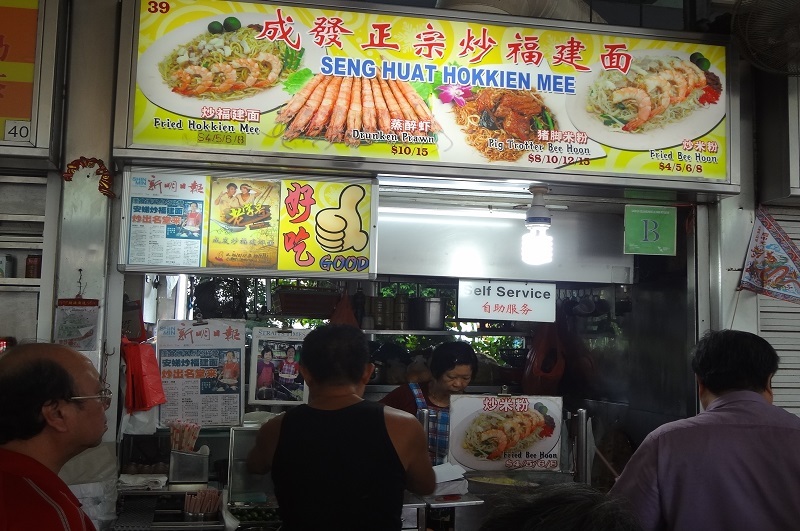 We also saw a media report in front of the stall praising this Hokkien mee cooked by a lady boss, the accolades going beyond the food to the hard work put in by her to keep the business going. She definitely deserves our respect. We ordered a $6 serving, a little on the high side, going by the ingredients and the serving size we received. There were a few prawns and some fine strips of cuttlefish, fairly standard ingredients for this dish. The noodles were a mixture of white and yellow mee, the yellow noodle made up about 70% of the dish and balanced the white noodle. The noodle leaned more towards the watery side than the traditional gooey consistency, however, overall it was not too soggy and still had the right texture. How about the taste? Luckily, the noodle was able to soak up all the sweetness from the simmering stock, seafood and eggs. The first mouthful was not bad, and the flavor was further accentuated by the lard added, a key component in a really good Hokkien mee. 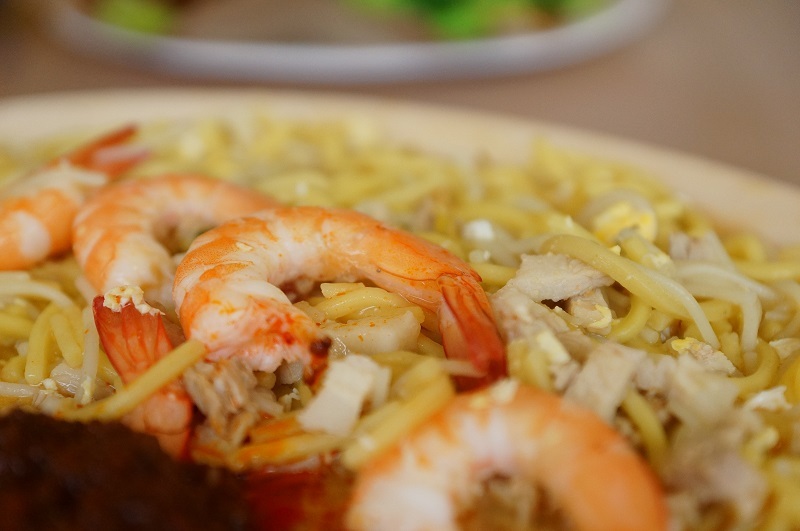 Though we like mixing Hokkien mee with chili sauce, Hokkien mee still tastes best in its original flavour hot off the wok, where one can fully appreciate the goodness of the noodle. The chili sauce sometimes masks the flavour of the noodle and compromises the sensitivity of the taste buds. And unfortunately, the chili sauce here was not too impressive and didn’t add much punch to the noodle. 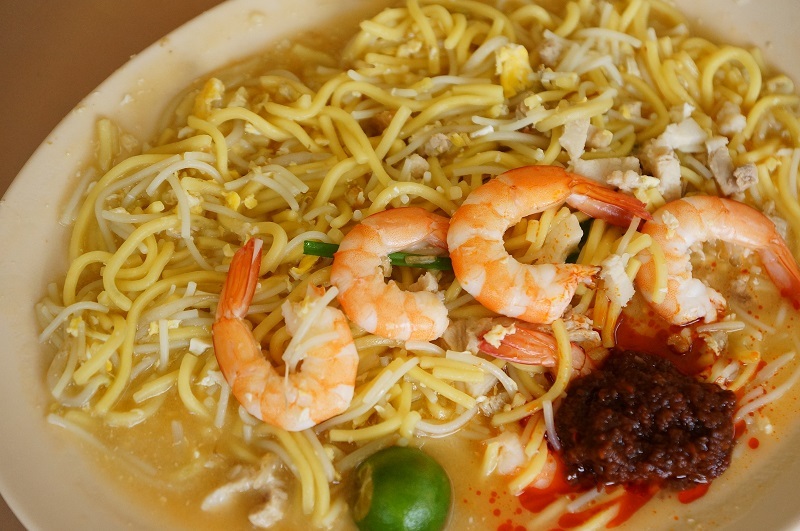 Overall, Seng Huat Hokkien mee is not too bad: we like the sweetness and the flavour from the heavy dosage of lard in the dish. A little guilt-inducing, maybe – but tell that to the Uncle in front of us in the queue who ordered 10 packets to go!